At a teacher scholarship collaboration a few weeks ago, one of the presenters showed us his Scoop.it page. 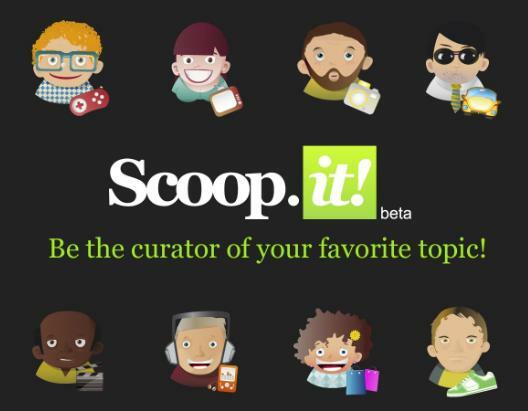 This is a fantastic web based app which allows you to “curate” information about any topic. Basically, Scoop.it takes the effort out of sourcing and displaying information by looking for you. All you need to do is provide a topic, add some key words and let Scoop.it go to work for you. After a quick search, Scoop.it will provide you with a number of suggested links to display on your page. You can choose to scoop these, or bin them if they are not suitable. I have started putting together a Scoop.it for my Scholarship PE group. To do this I have created five topics based around the five contexts that students can be assessed on. I have created a number of key words to help source articles and links. However, where I think the strengths of Scoop.it lie are through the following of other Scoop.it users who are scooping similar topics. By searching for Scholarship PE, I am presented with a number of users who already have well established pages. While looking through their content I can rescoop any of their articles to my own page. You can also add commentary on each of the scoops. Over the next few weeks, my scholarship students will be given the link to my Scoop.it. Each student will be required to read and summarise an article each week. They will present these back to the rest of the group as well as provide suitable evidence from the article that may come in handy while planning their essays. Basically it’s minimised the amount of time I spend looking for suitable articles and provided a starting point for my students to get their heads around key topics for Scholarship PE.